This is it, the last and final page of the short comic I created with J. B. Martins: "Empregado precisa-se". 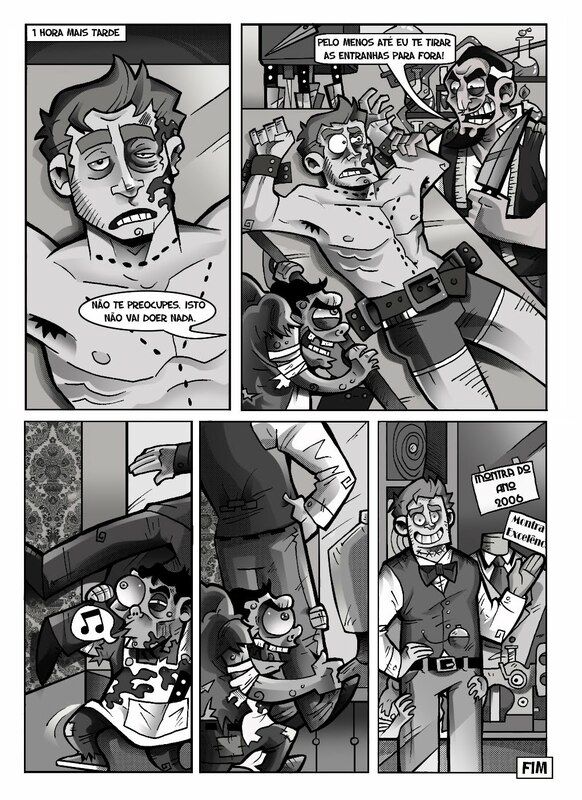 I think this is my favorite page of this particular comic, although the story doesn't end well for our young job seeker... maybe his tale of misfortune will be useful to warn others. Enjoy! 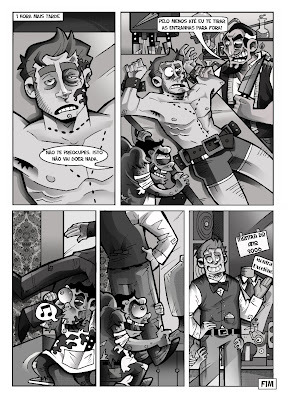 This comic was published on Zona Negra 2. You can buy it here. eh, curti imenso esta bd! ele bem sentiu na pele o conceito full-time, mas, pronto, bem pode ficar contente que nem todos tem emprego para toda a vida.